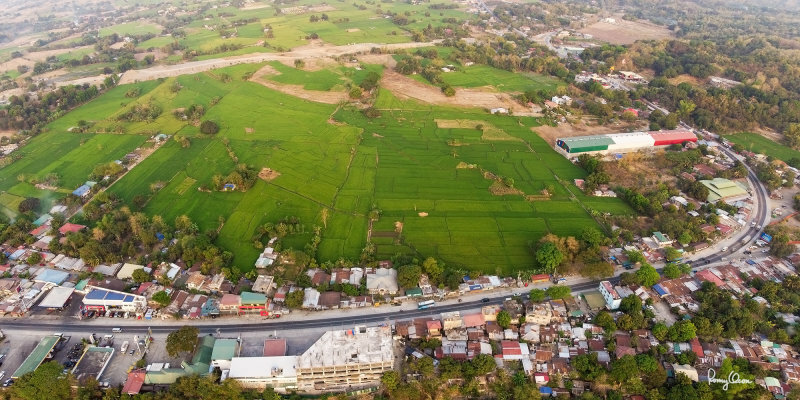 Here's how the construction progress of the Tarlac-Pangasinan-La Union Expressway (TPLEX ) looks in the first golden light of the morning - taken from an altitude of 185.30 m ASL at 6:38 am today March 30th over Camp I, Rosario. The lower road leading to the bridge in the upper left corner is the Manila North Road (MNR), while the upper road (still an embankment at this stage) is the TPLEX. 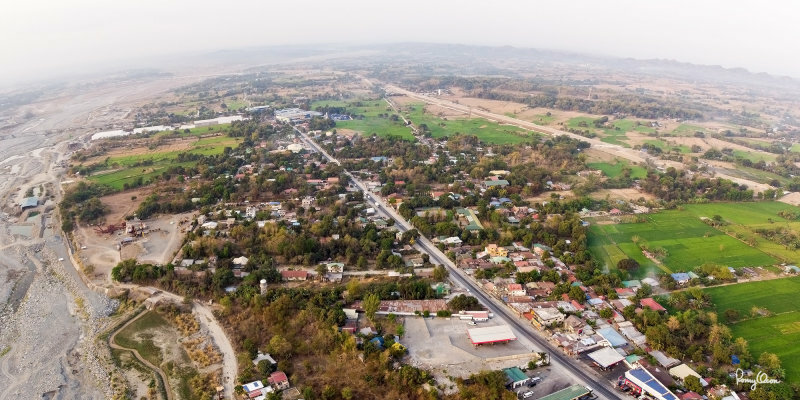 The large rectangular roofs in the lower right corner are the Caltex and Petron gas stations. Shooting info - Bued River, Rosario, La Union, March 30, 2019, DJI Mavic Air, 4.5 mm, f/2.8, ISO 100, 1/200 sec. I've to split the 180-degree panorama into two for easier viewing.... here's the other half in the northwest direction. Embankment works are still ongoing near the terminus. If one looks closely, the signage of Jollibee and McDonald's are visible near the upper right corner.